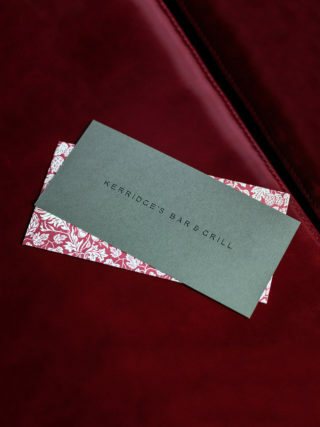 Kerridge’s Bar & Grill is the first London restaurant by Tom Kerridge and the Hand & Flowers team. From Marlow we’ve brought much of our team, produce and inspiration for new dishes, and a relaxed and unstuffy eye for hospitality. 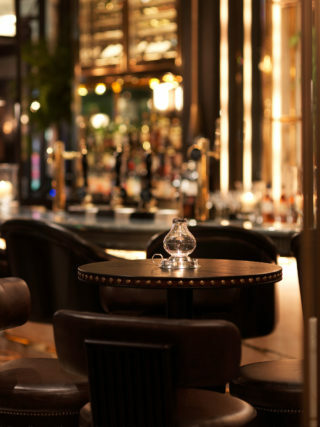 All these have found a new home in the extraordinary surroundings of Corinthia Hotel London, a legendary venue for the next chapter in our story. Winston Churchill’s account of the 1918 Armistice. 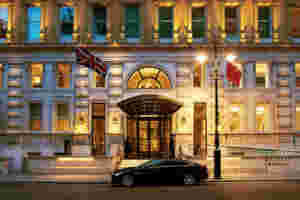 Corinthia Hotel London is one of the capital's true grand hotels. Originally the Hotel Metropole, it was the largest hotel in Europe when it first opened in 1885, welcoming visitors from the Home Counties and the Continent as they arrived at Charing Cross. Since then it has hosted aviators and mountaineers, adventurers and spies, the Midnight Follies and Buffalo Bill Cody. During World Wars I and II, the building was requisitioned by the War Office; Winston Churchill served as Minister for Munitions here from 1917 to 1919. After lying vacant for many years, this legendary building was restored to its former glory and reopened by Corinthia Hotels in 2011. Today one of the city's leading luxury hotels, Corinthia Hotel London blends grandeur and heritage with contemporary design moments. 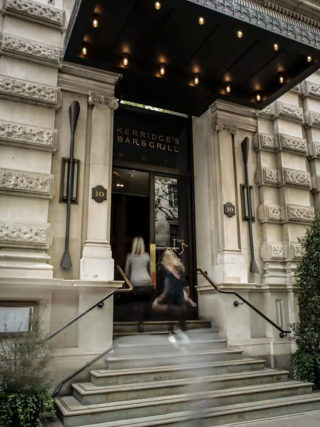 The hotel is located a few moments’ walk from the Thames Embankment, Whitehall and Trafalgar Square, making it the perfect base to explore the West End. To book a room or a treatment at the award-winning Espa Life spa, and to find out about offers, visit the Corinthia Hotel London website. "I grew up in the west of England but my grandparents and my father were originally from south east London. I remember coming here as a child and finding the energy exhilarating. Also, my Dad’s car was actually a London black cab, so even when I was being dropped off at school in Gloucester, I felt a connection to the city. 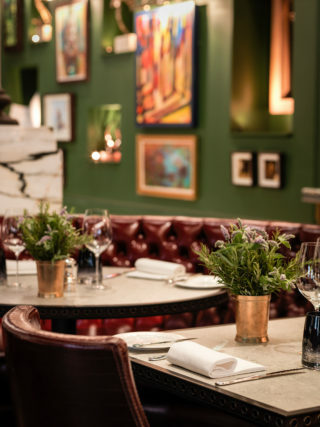 "With Kerridge’s Bar & Grill, we’re bringing a lot of the heart and soul from our Marlow pubs, but we also want people to feel the energy and excitement of being in an incredible hotel right in the middle of London. It’s a grand dining room but it’s also a fun and engaging space where everyone should feel welcome. 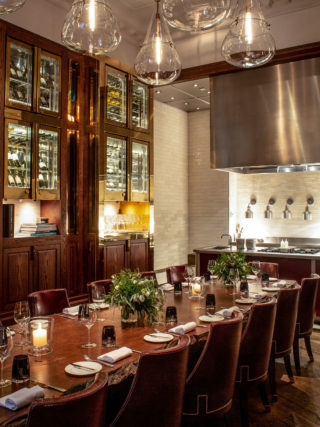 Part of the experience is that people will feel a real connection with the food. There are real ales, a meat fridge in the room, bread and cheeses on display and, best of all, a beautiful rotisserie where we grill nearly half the main menu. So you don’t just sit at a table and get served courses, you can immerse yourself into the whole process of lunch and dinner. "I want people who come here to have a big smile, feel full of brilliant food, and know that they have had a great time and can’t wait to come back." 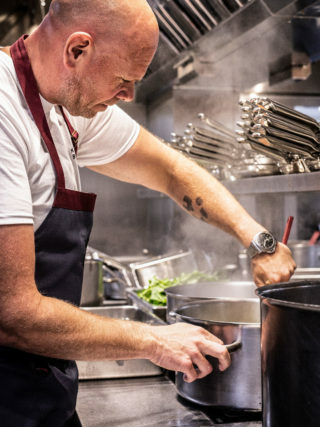 Nick has worked alongside Tom Kerridge since 2010 and is the head chef who launched The Coach, winning a Michelin Star in 2017. 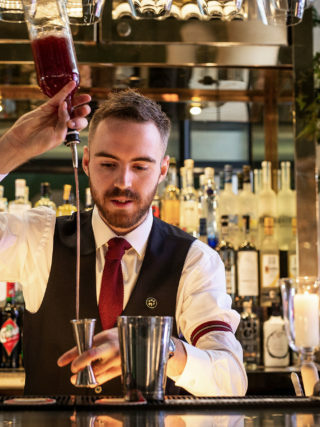 Tomas joins the Kerridge’s Bar & Grill team from the Mandarin Oriental, where he started as a waiter aged just 16 and worked his way up to Maitre d’. 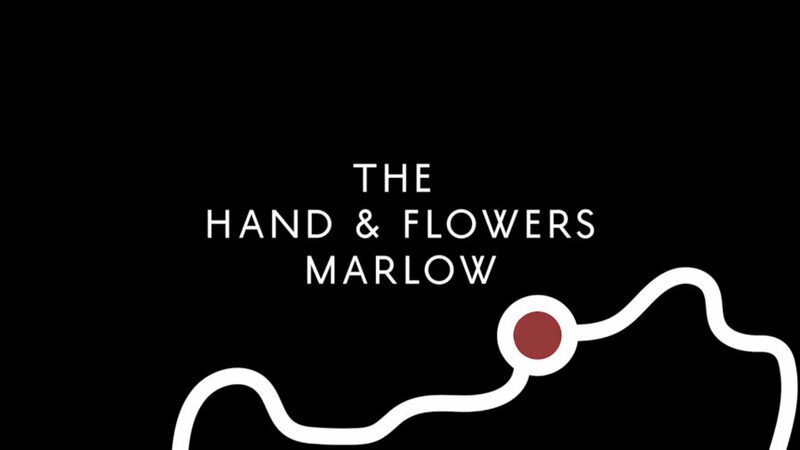 We’ve been on quite a journey since we opened The Hand & Flowers in 2005. 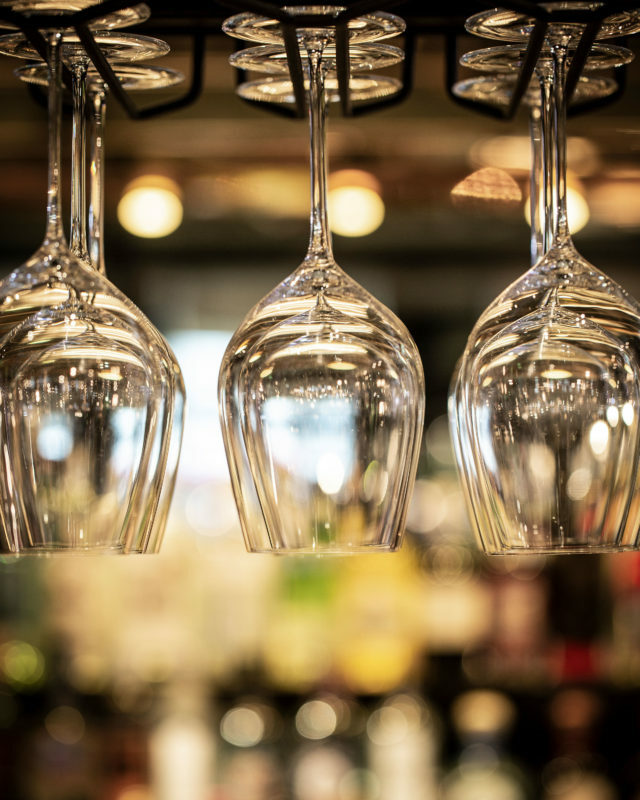 We’ve since opened two more pubs, The Coach and The Butcher’s Tap, both also in Marlow. Now we’ve travelled downriver to London to continue the adventure. 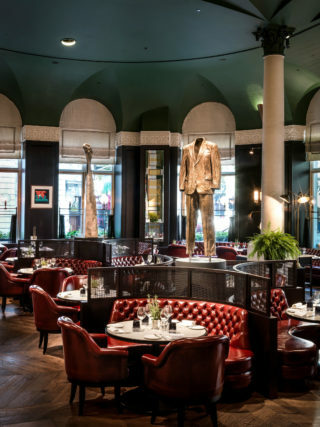 Gallerists West Contemporary have curated a collection of artworks for the dining room at Kerridge’s. These include new works by Beth Cullen-Kerridge and an art wall of smaller pieces by painters Chris Moon, Jim Threapleton, Carne Griffiths and Peter Ceredig-Evans, photographer P Gerard Barker and sculptor Mark Beattie. 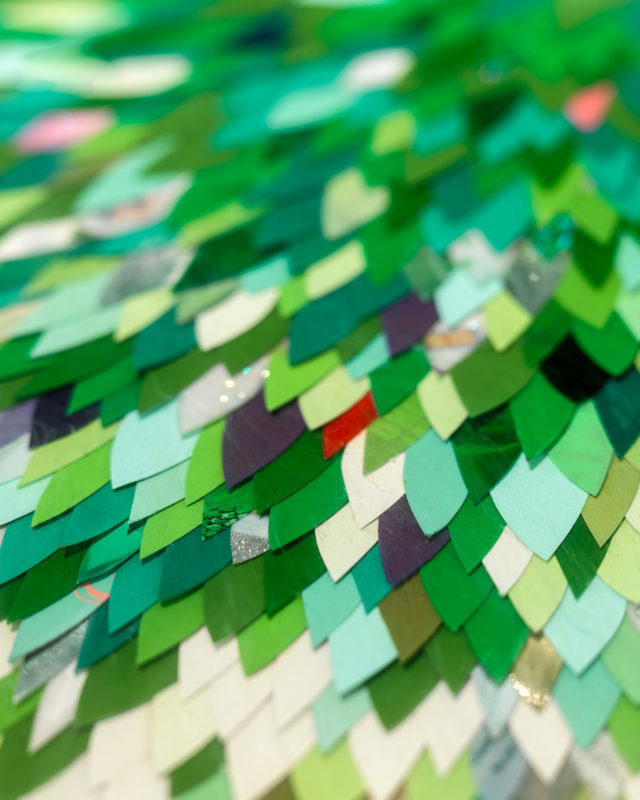 We are also proud to showcase a series of specially-commissioned new works by mixed media artist Robi Walters. In addition to being Tom’s wife and business partner, Beth Cullen-Kerridge is a successful sculptor. In recent years she has stepped back from the running of the restaurant business to focus on her first love. Beth trained at Liverpool John Moores and honed her craft casting bronzes for Eduardo Palozzi, Elizabeth Frink and Alberto Giacometti. She has since worked with Mike Bolus, Sir Anthony Caro and Sir Norman Foster and her public commissions can be seen at Canary Wharf, Dubai Opera House and Grosvenor Gardens. In October 2017 Beth unveiled new works at Brown Hart Gardens in North Mayfair. Robi Walters creates stunning mixed-media pieces which transform discarded items into objects of great beauty. 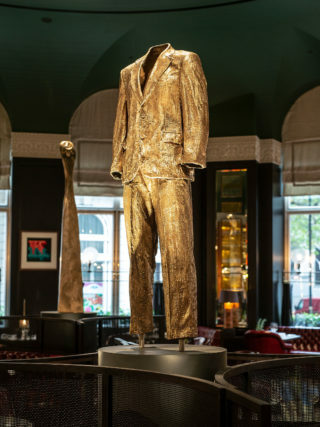 He has collaborated with musicians including U2, Mary J Blige and Sir Paul McCartney and his work is sought after by collectors including Thandie Newton and Stellan Skarsgard. In 2017 he opened his own gallery and working studio in Soho. Robi is currently exhibiting work in London, Paris, Dubai, New York, Miami and Los Angeles. 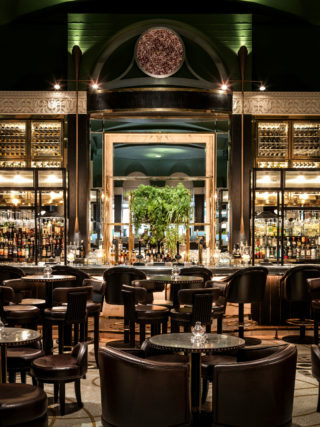 He has also curated a special collection for the dining room at Kerridge’s Bar & Grill. 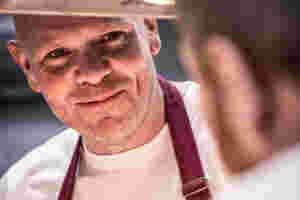 Andy Cook, master butcher, is based in Marlow and has supplied all Tom Kerridge’s pubs with carefully sourced meat for over a decade. In 2017, Tom and Andy set up The Butcher’s Tap, a high street pub in Marlow, with a butcher’s counter. Andy’s meat is all sourced directly from the producers and butchered in-house. It includes 28 day dry aged Herefordshire Cross Aberdeen Angus from Ayrshire, free range pork and chicken by Packington, Wiltshire Downlands lamb, and game from West Wycombe Estate. 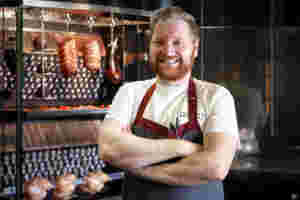 Andy’s team also makes all the sausages served here at Kerridge’s. 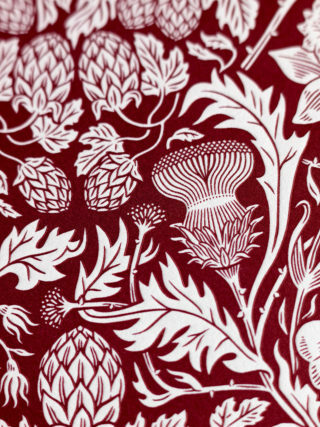 Our tableware is designed and made by William Edwards, of Stoke-on-Trent. 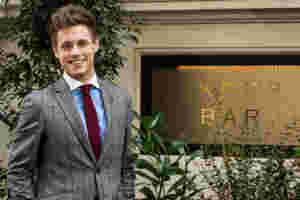 William and his team are suppliers of bespoke tableware to hotels, restaurants, clubs and palaces the world over. Their fine bone china is designed and made using traditional methods at the historic Anderton Works in the heart of the Potteries. We’re proud to serve beer from the award-winning Rebellion Beer Company. Rebellion is a Marlow-based microbrewery that produces traditional year-round and seasonal ales using traditional methods and Marlow water.